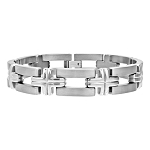 Bold and contemporary, this titanium bracelet with CZ is a must for the modern-minded man. 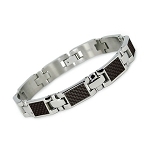 This men's titanium bracelet features a brushed finish black IP (ion plated) center band bordered by high polished sides. 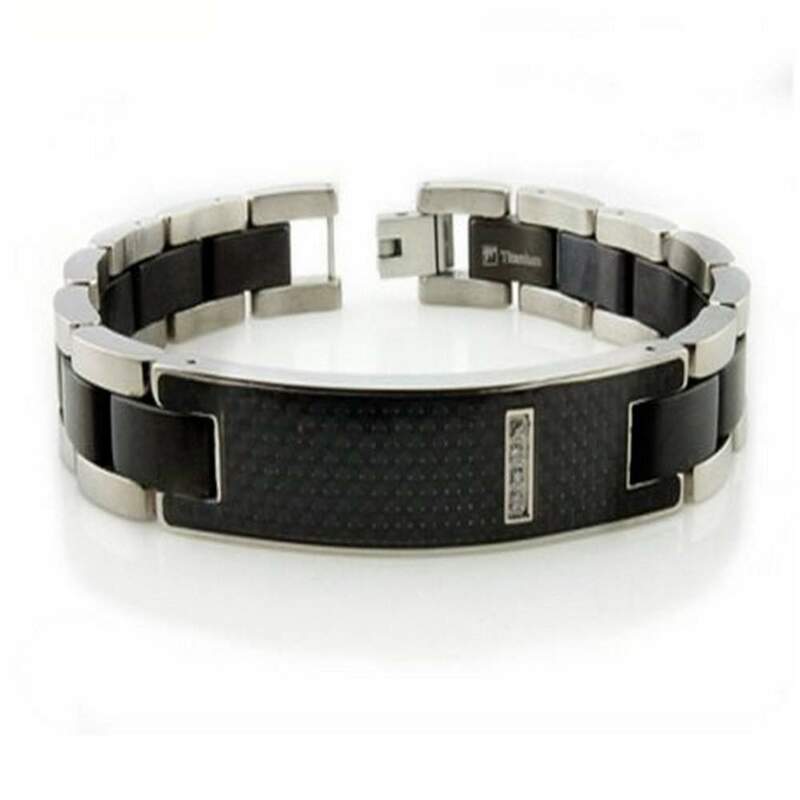 A center ID tag is inlaid with black carbon fiber and set with four 1.5mm cubic zirconia. This lightweight armband measures 12mm by 8.5 inches. I'm generally happy with this item but a little disappointed that one of the pins was faulty and I had to have a link removed. Normally I would have sent it back for a replacement but as I am from Australia I figured it would take too long :-( I'd still buy from here again, these things just happen every now and then.